With a thick waxy texture and an easy to handle stick form, UV neon paint sticks allow you to create detailed, intricate designs with ease. 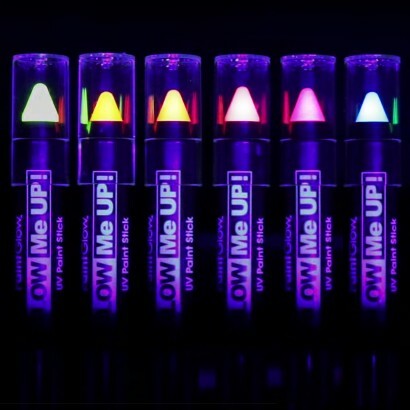 UV reactive face and body paint glides on for incredible freehand designs that fluoresce under UV blacklight. 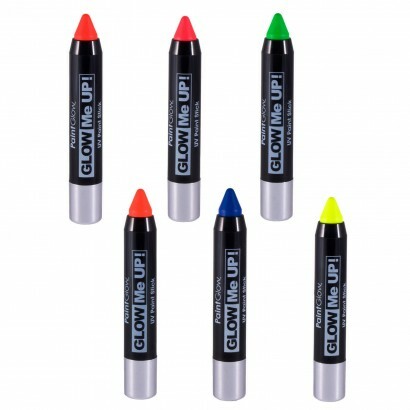 Available in six hot neon colours; blue, green, orange, red, yellow and pink, let your creativity flow and glow all night!